Ready for Anything. This Mopar muscle car got a big makeover, and the new modern styling is hard to beat. The latest generation Dodge Charger is loaded with new features, but there's still plenty of room for LED lighting upgrades. Whether you're at a car show or the drag strip at night, LED upgrades are a great way to customize your ride and provide increased light output where you need it most. Whether you are looking to give your Charger a more modern appearance or want to customize your headlights to match your unique style, we’ve got you covered! Check out our LED headlight bulbs, map lights, HD LED Halos, and Multicolor LED Boards below. 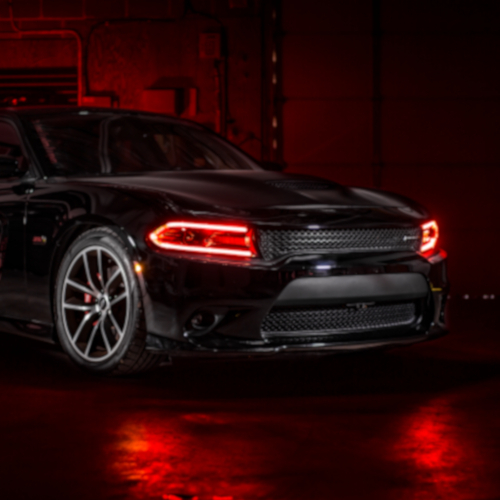 Sign up for our newsletter to stay up-to-date on the latest LED lighting upgrades for your 2015-2019 Dodge Charger!